No other superheroine wields the cultural cachet of Wonder Woman. In the seven decades since her first appearance, Wonder Woman has transcended the printed page to become a real world feminist icon and cultural phenomenon. But why? What is it about Wonder Woman that allowed her to rise above her fellow four-color heroines and achieve this status? This presentation will provide a feminist critique of Wonder Woman’s origins, investigate her historical rise as a cultural icon, and reveal how changes in the character have reflected the changing role of women in our society throughout history. This pursuit through history will begin with an examination of Wonder Woman’s fictitious and real world origins during the Golden Age of comics, her relationship with other Golden Age heroines, and women’s role in WWII. 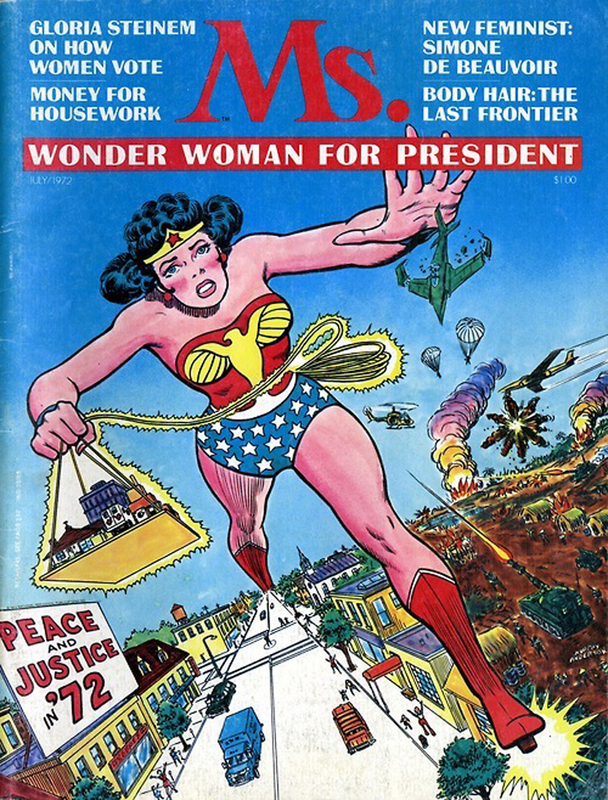 From there, we’ll follow her into the Eisenhower-McCarthy era of the 50s, through the 60s, into her involvement with Second Wave Feminism in the 70s including her appearance on the cover of Ms. Magazine and the impact of Lynda Carter’s Wonder Woman TV series. Finally, we’ll briefly investigate Wonder Woman’s lasting role in the cultural landscape of today. You can catch “Why Wonder Woman? Tracing the Rise of a Feminist Icon” at “Comics &‪ Feminism” with special guest Kelly Sue DeConnick, on Mon. at 1:00pm in Hyatt, Hanover F.
I’ll also be a part of the “Roundtable on Race, Gender, & Sexuality in Comics & Fandom” on Sun. at 10:00pm in Hyatt, Hanover F.
I’ve no way to make it to Atlanta, but I’d love to read more from your Wonder Woman research. 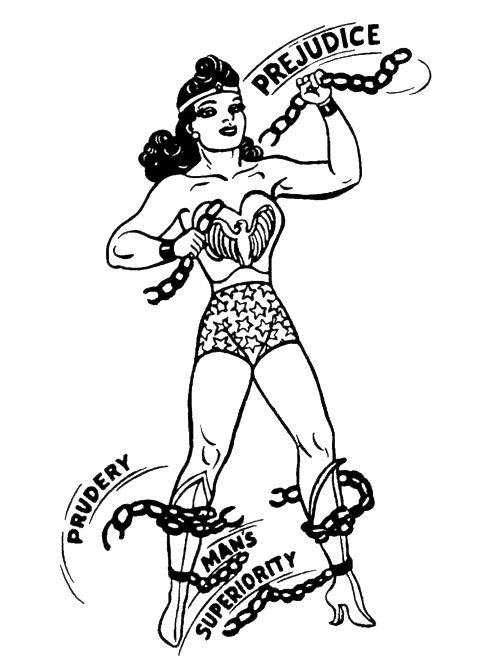 I’ve often discounted the idea of Wonder Woman as a feminist icon; but it’s clear that I may not know enough about her history and impact on American culture to persist with that dismissal. Where can I read more? I plan on adapting the research into a series of posts after DragonCon so stay tunned!